“Being an actress, I don’t repeat my clothes for events, but when I go out with my friends, I do repeat my outfits. Personally, if you ask me, I am a glam girl and I believe in the power of makeup and fashion. I take almost two hours to get ready,” Bhumi said. She further added, “Having said that I don’t do it out of pressure, but I enjoy the process. I like to look stylish. 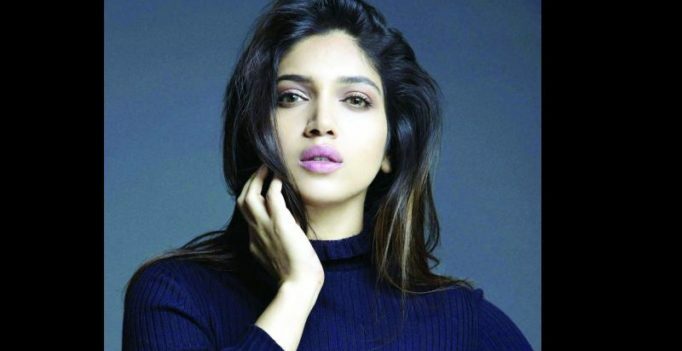 At times I am even overdressed, but I don’t care.” While Bhumi agrees to the fact that this industry is obsessed with stereotypes, she also considers herself fortunate enough to have joined the industry when it was going through a metamorphosis. “When I gained my weight for Dum Lagage Haisha, it did not change my perception about myself. My confidence was intact because whenever I used to look at myself, I saw an attractive girl. My weight gain did not alter anything in my life,” the 32-year-old said. “I was having a ball as I dressed the way I wanted. Yes, our industry is obsessed with our stereotypes, particularly for women. However, I also feel that we have seen a change in our cinema. I joined films while this shift was happening and I am glad about it,” she added. She was launched by Yash Raj films with Dum Laga Ke Haisha, and now she will be seen in Toilet: Ek Prem Katha. “Yash Raj has cushioned me in many ways. I think it’s the kind of security and the respect that people give you because you are a Yash Raj talent. They know they cannot mess with you, and if they do, there is an entire team that will take legal action. I feel very protected because I know somebody is backing me.” Ask her does she have enough screen space in Toilet: Ek Prem Katha which also features a star like Akshay Kumar she said, “When I heard the story, I knew the extent of my character. And I had no qualms about my involvement because the story is about this couple,” she concludes. Toilet: Ek Prem Katha revolves around the issue of open defecation, with Prime Minister Narendra Modi’s Swachh Bharat Abhiyan forming an integral part of the narrative. The film is set to hit the theatres on August 11.